In order to open the Test Results panel, click in the Main Menu: View ⇒ Test results. Each of these levels, excluding methods, can be expanded. Quick view gives you the ability to set the visibility of test results as it can give you the maximum useful information. This feature allows you to see classes with certain results immediately expanded after a test run completes. All others are hidden under the Show all link. You can collapse this option using the arrow next to the test run. Passed previously (was successful on the previous run as well). First two options are set by default, but you can easily change them. To do this, just click on the settings button in the Test Results panel. Configure which categories should be included in the Quick View by default or even turn off the feature by deselecting all categories. 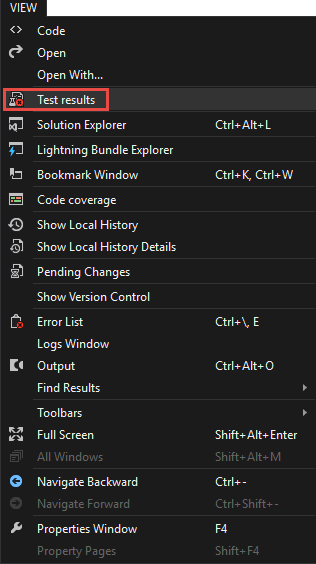 The Welkin Suite remembers your settings for the Quick view even between the sessions, so next time you launch the IDE, the Quick View will look like just exactly as you set it up. 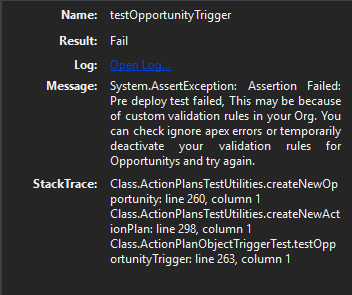 If you click on the test method, you will also see an option to open the log, and if the test method has failed, you will see in addition a message and a stack trace. You are able to configure the Test Results panel and its options in the Settings window. To open it. click on the Settings button in the Test Result panel. 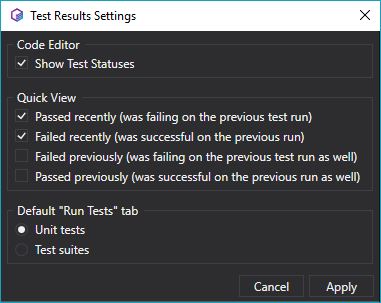 default tab in the Run Tests window. You can see the actual tests result for each test method in the file directly in the editor — near the line numbers. The status is taken from the most recent test job which was run for this test method. 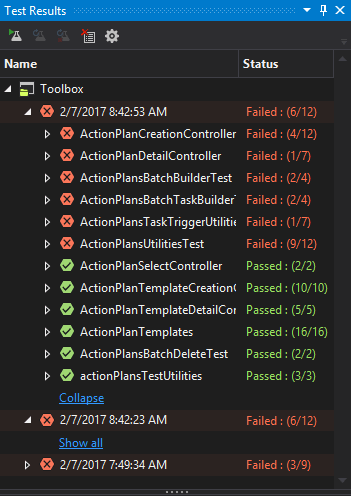 If you want some more info about the test methods in the editor, each status icon has a tooltip with info about the status and when the test was executed. You can enable or disable showing the test results in the code near the test using the button Show Test Results in the Test Result panel. By default, this option is enabled once you have the Test Results panel shown. The Welkin Suite is always ready to lend you a hand if you ever have questions about some functionality of the Test results panel or the process of accomplishing some tasks here. When you need to learn more about this tab or its elements, click on the Help icon in the top right corner of the window. You will get an opened page of The Welkin Suite's Documentation related to this functionality in your default browser.